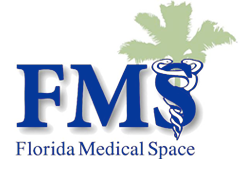 Carol Pickering, Medical Leasing and Sales Consultant for Florida Medical Space, specializes in providing medical real estate brokerage and consulting services to doctors, hospitals, the healthcare industry and property owners throughout Florida. 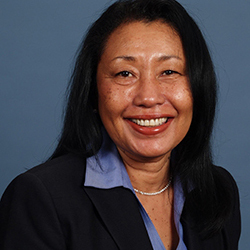 In Carol’s former positions as a private banker and commercial banker she successfully served the medical community providing a range of expertise, resources and services. Carol is client-focused, a consultative advisor, with emphasis on value and service. VP level banking professional expert in Commercial Banking, Private Banking, and Retail Banking business development, relationship management and leadership. Highly developed closing, business development, relationship management, portfolio management general business and supervisory skills. Considerable understanding of commercial lending, SBA lending, treasury management, private banking, and consumer credit. Goal-oriented and self motivated. Consistently exceed revenue and profitability goals ranking in the top quartile of leader boards. Consultative advisor to privately held companies ranging from $1-50MM, Fortune 50 high net worth families, and senior levels of Fortune 500 companies. Client-focused approach with emphasis on clients’ expectations about value and service. Committed to superior client and teammate experiences. Expert at networking, cultivating and mobilizing LOB & COI resources. Source, win and manage profitable C&I/professional association credit and deposit portfolio. Develop and execute effective market plan resulting in improved profitability and new relationships. Provide business owners solutions for enhanced cash conversion. Evaluate and package credit requests by preparing deal summaries to include company profile, industry analysis, deal points, risks and mitigating risk factors. Manage renewal, review and collection of credit facilities. Coordinate business development events/seminars. Coach junior bankers to effectively and consistently deliver high touch service. Lead Private Banker. $500,000 in market signing authority. Sourced, won and managed relationships of profitable high net worth individuals/families and their related businesses/professional associations. Managed and improved area credit portfolio ensuring compliance, credit analysis, underwriting, structuring, pricing, timely renewals and reviews. Developed and executed market plan expanding market share and relationships. Recruited to establish, build and manage newly formed line of business in Las Vegas and Los Angeles markets. Sourced and won new, multi-unit, national brand franchise relationships. Created and executed strategic market plan resulting in overachieving new relationship goals. Developed and actively participated in sales campaigns, national trade shows. Evaluated and packaged credit requests preparing deal summaries to include company profile, deal points, risks and mitigating risk factors. Sourced, won and managed profitable C&I/professional association credit and deposit portfolio. Evaluated and packaged credit requests by preparing deal summaries to include company profile, industry analysis, deal points, operating cycle, cash flow, risks and mitigating risk factors.